This was only a faint imitation of “The Bourne” trilogy. 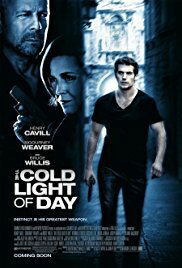 An action movie that doesn’t stand out among the thousands of other action movies. And casting wellknown names such as Bruce Willes and Sigourney Weaver won’t make it a big hit either. Besides, they only had a minor roll. What bothered me immensely was the inappropriately appearances of huge advertising of brands … it looked like a stretched commercial after a while.